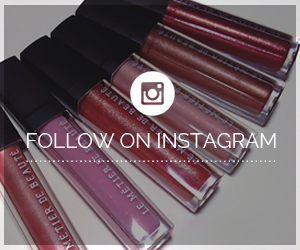 Since I couldn't include all the Tokyo beauty goodies in my new haul video, I decided to share some here! 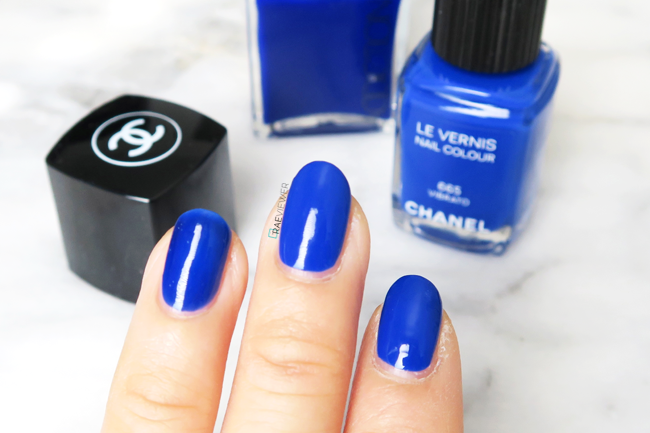 Lots of you requested swatches of the gorgeous cobalt blue Chanel Vibrato nail polish. Yes, it is similar to Dior's Sailor, but the Chanel formula is better. 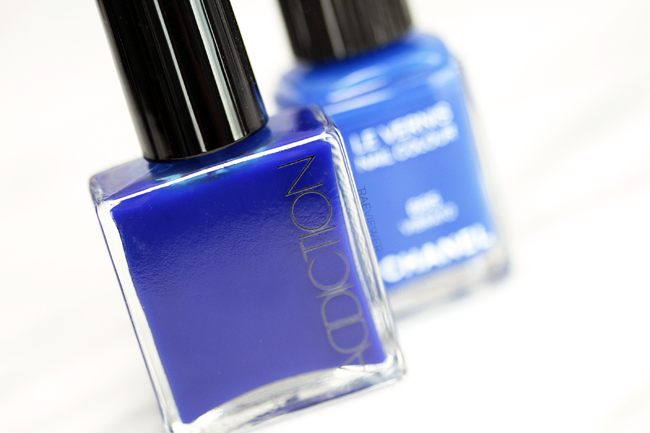 Some cobalt blues can be tricky to apply but Vibrato is silky smooth and creamy without feeling heavy or clumpy. Perfect in 2 quick coats. 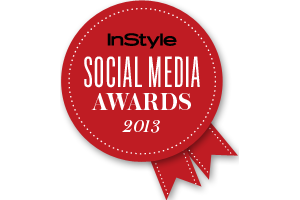 I highly, highly recommend it! I swatched it next to ADDICTION's Blue Moon, which is more navy in real life and has a slightly translucent jelly finish (as seen below) that is prone to bubbling. I love Blue Moon nonetheless, but Vibrato is brighter and barely requires any clean up around the cuticles because it's that easy to apply. If you live in the USA, don't fret because it is rumored to be released in the United States in September! ADDICTION on LEFT (ring finger). Please forgive my super dry cuticles! I need to go get a manicure. A couple of you asked how much less Commes de Garçons PLAY clothing is in Tokyo. I will update this post when I find the receipts. I stashed them away for safekeeping but forgot where. I believe I saved approximately 20% when factoring in Los Angeles tax. It's not a bargain by any means, but it is significantly cheaper considering that CdG Play never goes on sale! The quality is worth the splurge. I do know for sure that the clothes at Uniqlo were half the price of everything they charge in the USA. I bought tees for $5 apiece and awesome comfy pants for about $25 each! Even budget buys like Uniqlo in Japan are so much better in terms of quality — and fit for shorties like me — than your run-of-the-mill Forever21 items (which are absurdly overpriced these days). In general, clothing that is worth the money is hard to come by now! I was lucky enough to go right as the sales were starting, so I also found a few skirts at a steep discount. I also visited lots of toy and anime shops looking for Naruto plushies, but the convention had just passed so everything was sold out! I purchased mini figurines instead, so once I find a place to display them, I will share a picture. 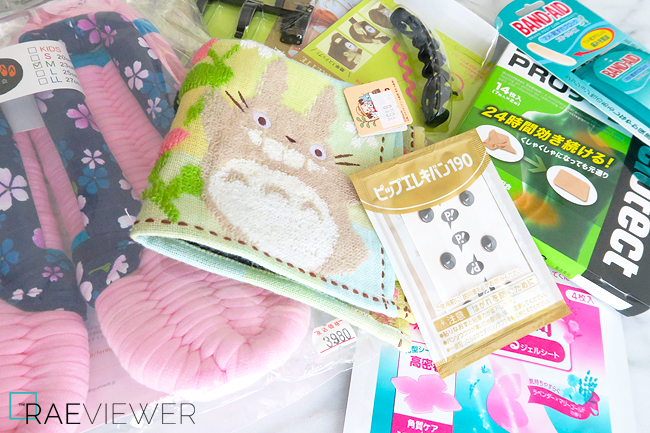 I got lots of random goodies like handmade house slippers and some more Totoro merchandise as well as a slew of drugstore products like salon pas for my backaches! I also stocked up on Dollywink lashes and hair goodies from Honeycé as shown in the video, and as usual, lots of mascaras and eyeliners. 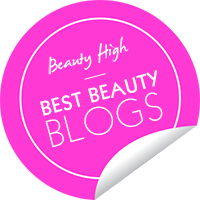 I will share my favorites here on the blog soon! !